Price movements within the spot forex market are represented in pips. A pip is the minimum tick that a currency pair moves up or down. The value of a pip may be different from one currency pair to another. In this lesson, we will discuss the basics of Forex pip values that every FX trader should know. After reading this article you will know how to calculate pip values for various currency pairs and gain a better understanding of incremental price movements within the FX market. The word “Pip” in Forex is an abbreviation for “Percentage Interest Point”, and is also often called “Price Interest Point”. A pip is the minimum price increment for a currency pair. 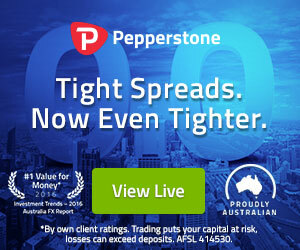 If the price of a currency pair moves up or down 0.0001, we say that the price has moved 1 pip. If the price moves up or down 0.0007, we say that the price has moved 7 pips. Example: If the price of the EUR/USD Forex pair moves from $1.0750 to $1.0758, we say that the EUR/USD has increased by eight pips ($0.0008). If the EUR/USD price increases from $1.0750 to $1.0785, we say that the EUR/USD is up 35 pips ($0.0035). This example shows how a pip is expressed using the fourth digit after the decimal. There are some currency pairs that are expressed using the second digit after the decimal. The pips of the Yen-based currency pairs (USD/JPY, EUR/JPY, GBP/JPY, AUD/JPY, etc.) are expressed using two digits after the decimal. If the USD/JPY moves from 110.10 to 110.90, we say that the price has increased 80 pips (0.80). There are a few basic steps you should follow when you measure currency pips on a Forex chart. Find the price move on the chart. Mark the beginning of the move. Mark the end of the move. Subtract the price at the beginning of the move from the price at the end of the move. This is the H1 chart of the EUR/USD for August 4-8, 2016. The chart shows a sharp price drop caused by an economic report. This means that the price has decreased 0.0115. In this relationship, we say that the EUR/USD has dropped 115 pips. Now we have the EUR/USD chart for August 24-26, 2016. The chart shows a bullish price move for this period. Let’s see how we would measure the size of this move in pips. This means that the price of the EUR/USD has increased 0.0052. In this case, we say that the EUR/USD has accounted for a 52 pip increase. This time we have the H1 chart of the USD/JPY Forex pair for March 7-9, 2017. The image shows a price increase of the Dollar Yen pair. Now let’s measure the size of this move in pips. Notice that the pip calculation of this Yen-based Forex pair is measured using the two digits after the decimal. This means that a price increase of 1.15 is equivalent to 115 pips for the USD/JPY currency pair. When measuring the pip move of a bullish run, you subtract the low from the high. When measuring the pip move of a bearish move, you subtract the high from the low. As we have mentioned, a Pip in Forex is the minimum incremental change in the price of a currency pair. But it is important to know that the monetary value of a pip is not the same for all currency pairs. Therefore, it is essential that every trader knows how to calculate the Forex pip value for the currency pairs they are trading. Knowing how to do this will help you to keep a tighter control on your risk management parameters. When the price is ticking in your favor, your open position will increase in value . Contrary to this, when the price is ticking against you, your open position will decrease in value. But this brings up the question “How much is that incremental increase or incremental loss?” To answer that question, we must calculate the currency pip value for the pair that you are trading. In the following sections, we will learn how to calculate pip values for various currency pairs. Let’s start with the Forex majors. If the USD/CHF is being traded at 0.9920, this means that 1 US Dollar is equal to 0.9920 Swiss Francs. So, if you buy the USD/CHF Forex pair at 0.9920 and the price increases 1 pip to 0.9921, you will account for a profit of $0.0001 for every unit you bought. Calculating the Forex pip value for a cross currency pair works almost the same way as with the major currency pairs. However, we will need to add one more formula to the calculation. This means that 1 pip of the EUR/JPY Forex pair costs 0.00008673 Euros. If we multiply this amount by the units traded we will get the pip value in Euro. We will need to convert the Euro result into USD. This happens by taking the current EUR/USD exchange rate. Let’s say it is 1.0700 at that time. 0.000092801 x 10,000 = $0.928011 for the USD/JPY Forex pair. First, you find the pip value in the base currency. You do this by dividing 0.0001 (or 0.01 if it is a Yen-based pair) by the current exchange rate of the cross. Then you need to take the Forex pair that contains your base currency and the USD. In our case, the Euro was the base of our cross pair. This means that the second Forex pair we need is the EUR/USD. We multiplied the result by the EUR/USD exchange rate because the USD is a quote currency in this case. Now imagine that your cross is CHF/JPY and you calculated the 1 pip value in CHF. This means that you will need the USD/CHF exchange rate to turn the 1 pip value in USD. Since the USD is a base currency here, you will need to divide the result by the USD/CHF exchange rate and not multiply as we did prior. After you convert the 1 pip value in USD, all you have to do is to multiply the result by the Units Traded. I will now give you a single formula for the EUR/JPY and another one for the CHF/JPY. “Is the Yen involved in the Forex cross pair?” We use a 0.01 expression if the Yen participates in the cross and a 0.0001 expression if the Yen is not involved. “Is the USD a base or a quote currency in the major we use to convert?” We divide if the USD is a base currency and we multiply if the USD is a quote currency. What is a Pip Value Calculator? It is important to understand the mechanics of how pips are calculated, but it can seem confusing at first. Fortunately, we can access a forex pip calculator to quickly do the math for us. When you open a Forex pip calculator, you will usually see an empty table that shows different Forex pairs in the first column and different units traded – 1,000, 10,000, and 100,000. The calculator will require you to choose the currency you want to express the pip value in. This is your account currency. Then you should simply click “Calculate, ” and the table will be filled in automatically with results based on the current exchange rates of the Forex pairs. Next to every currency pair from the first column, you will see its current price and the Forex pip value for 1,000 units, 10,000 units, and 100,000 units. As you can see from the image above, the information is well organized within a table and displays the pip value of sixteen different Forex pairs taking into consideration the units of a Micro lot, Mini Lot, and a Standard Lot. You will also see the current price of the Forex pair used to calculate the respective pip value. Monitoring the Forex pip value of the different currency pairs puts you in a position to make better decisions about your trades. You will be able to place a stop loss and know the exact risk you are taking. In addition, you will be able to apply prudent position sizing strategies based on this knowledge as well. For non-JPY based currency pairs, the minimum pip is expressed using the fourth digit after the decimal of the exchange rate – 0.0001. The JPY-based Forex pairs, the minimum pip is expressed using the second digit after the decimal of the exchange rate – 0.01. Spot a price move on the chart. To calculate the USD pip value of a Forex cross pair you should multiply or divide the result (depending on if the USD is a base or a quote currency) by the current exchange rate of the respective major. 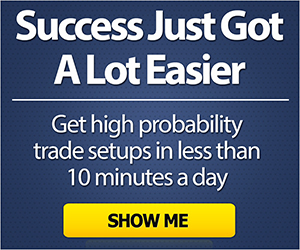 Most Forex trading platforms will calculate the Forex pip values automatically for you. You can use a Forex pip calculator to get the currency pip values of different pairs.